No sink? No soap? No water? No problem! 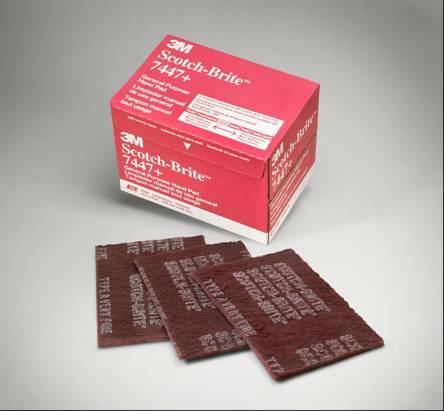 The original and still the best hand cleaner wipe available... no need to settle for cheap imitations. 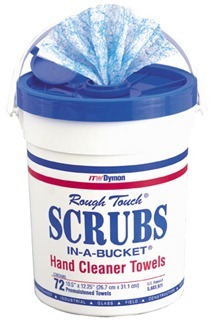 Scrubs-in-a-Bucket combines both a heavy duty, non scratching abrasive hand-cleaning towel. 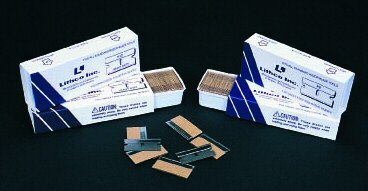 A special micro-perforation pattern holds the hand cleaner and traps the dirt to prevent it from being re-deposited on the skin. Pleasantly citrus scented and packaged 72 wipes /bucket.